← Tea For Me Please Podcast feat. TeaDB! Home to the original oolong tea and its fair share of tea legends, the Wuyi mountains house some of the world’s most sought after oolong teas . Although there are many types of tea grown in the Wuyi mountains (notably Lapsang Souchong/Jin Jun Mei), it is most famous for its oolong teas. Due to the mountainous area that the tea is grown, Wuyi Oolongs are frequently referred to as yancha or rock/cliff oolong tea. This terroir and Wuyi oolong’s firing/processing methods contribute to the very distinctive taste of Wuyi yancha (this is sometimes referred to as yanyun. Wuyi Mountains. Source: Essence of Tea. Unlike fresh Taiwanese oolongs or green Anxi oolongs which are best vacuum sealed and consumed quickly, Wuyi oolongs are roasted and have a much longer shelf life than their less oxidized cousins. The ideal drinking time depends both on personal preference and a number of different contributing factors, specifically firing and oxidation. Other important characteristics include age, old vs. new tea plants, and the harvest. Editor’s Note: One interesting fact about Wuyi oolongs is that the tea-growing regions peak between 600-700 meters in elevation. This means that there is no such thing as high-mountain yancha (high-mountain = 1,000 and greater elevation)! . Yancha makes up for its lack of elevation with unique, cliffy terroir and very old trees! The firing can be thought of as the strength of the roast. Firing level is typically classified as high/medium/low-roast. Roasting was originally used as a way to preserve tea so it could be shipped to its final destination as well as increase its shelf life. The higher the roast the better it keeps. With medium/high-fired tea it is even preferable to allow time for the roast to wear off. Traditionally fired yancha is often best consumed over a year after the tea processing is finished. High-fired teas can yield even greater complexity when aged and should be stored in a cool, dry environment. Similar to the firing, oxidation of Wuyi oolongs can vary significantly and is a way for the Wuyi tea creator to craft their tea. The leaves will be pan-fried to stop the oxidation process. This is then followed by the firing/roasting process occurs. Wuyi oolong oxidation levels vary but typically hover around ~25-40%. This is well-above green tieguanyin and most Taiwanese oolongs but below Oriental Beauty (~50-60%). It should also be noted that the unoxidized green teas and minimally oxidized nuclear green oolongs lose their freshness and flavor extremely quickly. Like the roasting, this oxidation process helps to preserve the tea. Editor’s Note: It should be noted that the firing and oxidation levels often have more to do with the tea’s lasting flavor than the actual tea (i.e. Da Hong Pao vs. Rou Gui). Roasting Wuyi. Source: Essence of Tea. Unlike Taiwan, where there is an active debate between the superiority over spring vs. winter harvest, Wuyi tea’s best harvest is Spring. Be careful about purchasing Autumn and especially Summer harvest tea as it is considered to be lower quality. There’s also a lot of Autumnal or Summer tea packed up as Spring. Similar to more roasted and oxidized Taiwanese oolongs, medium and heavy fired Wuyi tea will improve with age. This is a complex subject and tea can be completely ruined if stored improperly. The tea should be stored in an airtight container in a dry and non-humid environment. Note that these conditions are different from Pu’erh (humidity is thought to be more acceptable for pu’erh) and some believe that North America and Europe are better to age oolongs than Asia. Tea is often re-roasted throughout the years to drive out excess humidity and keep the tea dry. This can be very tricky and an overzealous roast can disfigure the original character of the tea. Others believe if a Wuyi oolong is high-fired, multiple roasts are unnecessary and detrimental to the tea. Similar to pu’erh, Wuyi tea has a long and rich history of growing tea. There are older bushes within the traditional Wuyi growing region. The traditional growing region features some unique and amazing terroir and has been designated by the Chinese government as a National Scenic Reserve. These old bushes are known as Lao Cong (old bush) and will command much higher prices than their younger Wuyi counterparts. Zhengyan means real cliff and is often used to refer to the scenic reserve. Another buzz term. Fully handmade Wuyi tea is a treat and should be treasured. It is also very rare and very expensive. There is also half-handmade tea which is generally more affordable. In this process the tumbling, kill-green and rolling are done by machine. Zhengyan growing area, handmade yancha. Source: Essence of Tea. The classifications here vary significantly from their Taiwanese counterparts. The name of yancha is usually the cultivar. While there are hundreds of cultivars grown on the Wuyi mountains, there are four specifically designated as Si Da Ming Cong (the four famous bushes). These teas are all heavily associated with tea lore and all have debatably true origin stories. Verified Si Da Ming Cong will also fetch very high prices on the open market. The king of Wuyi oolongs, Da Hong Pao (Big Red Robe) is by far the most famous of the four bushes. High-quality Da Hong Pao is extremely expensive and is one of the most sought after teas in all of China. The true definition of what “Da Hong Pao” is is very complicated. Due to its demand, it is also one of the more sold Wuyi teas and some version of Da Hong Pao is offered by nearly every vendor that sells Chinese tea. It is a very commonly foraged teas in China usually by mixing in another Wuyi tea or simply selling a cheaper Wuyi tea (such as Rou Gui/Shui Xian) packaged and sold as Da Hong Pao. Da Hong Pao uses the Qidan cultivar (Qidan is occasionally used synonymously with Da Hong Pao) and is typically high-fired making it relatively dark compared with other yancha. Origin Story: A local tea farmer saved the ailing Chinese emperor by serving him tea. The emperor showed his thanks by giving the tea bush his crimson robe. Hence Big Red Robe (source). There are six mother Da Hong Pao bushes remaining, all of which produce a very small amount (<400 grams) of extremely expensive tea. Nearly all Da Hong Pao sold are from clones of these original bushes. Editor’s Note: These origin stories are likely far more legend than fact. Tie Luo Han (Iron Monk Warrior) is the next most common of the famous bushes. It is still far more difficult to find than Da Hong Pao in the western world but is also an extremely famous tea in China. It is characterized by a lighter-roast, thicker body, and a rich floral taste. Origin Story: Tie Luo Han was first discovered in a cave (Gui Dong/Ghost Cave) in a cliff on Mount Wuyi. Because of the caves proximity to monks in the region, Tie Luo Han earned its name (source). Shui Jin Gui (Golden Water Tortoise) is slightly more rare than Tie Luo Han. Shui Jin Gui is known to be less oxidized (greener) than its Wuyi cousins with stronger fruit flavorings. Origin Story: The original Shui Jin Gui bushes were cultivated by monks within the Wuyi mountains. A torrential storm washed down several of these bushes. This created a condition where the original bushes grown on the small area of two square meters with a constant stream of water. The three original bushes remain, but no tea is picked. The rarest of the four bushes, Bai Ji Guan (White Cocksomb) is one of the most unusual Wuyi teas. Less oxidized and far less roasted than nearly all Yancha, Bai Ji Guan is famous for its light flavor and yellow leaves. Due to its more delicate processing, Bai Ji Guan is rarely found aged (source). Origin Story: Bai Ji Guan was given its name by a monk in memoriam of a rooster that gave its life to protect his baby from an eagle. The monk buried the rooster and the original Bai Ji Guan bush grew. Si Da Ming Cong. Da Hong Pao, Tie Luo Han, Shui Jin Gui, Bai Ji Guan. Source: Dragon Tea House. While not a member of the four famous bushes club, Rou Gui and Shui Xian are in many ways more important to the modern consumer than the majority of Si Da Ming Cong. Both teas typically fetch lower prices and are more available than all of the famous bushes with the possible exception of Da Hong Pao. Currently one of the most popular and common Wuyi oolongs, Rou Gui stands for Cassia Bark (Cassia is similar to cinnamon). Known for its spicy taste and sweet fragrant aroma, Rou Gui is usually more floral than most Wuyi oolongs. Its recent rise in popularity has lead to some calling it the fifth famous bush. Estimates have Rou Gui growing by as much as 10,000x since the 1980s! Good Rou Gui will not be cheap (no truly good Yancha will be), but tends to be available for lower prices than the four famous bushes. Because of the similarity between Wuyi oolongs, Rou Gui’s natural aroma, and its lower relative price, Rou Gui will sometimes be blended or sold as one of the more famous bushes (Da Hong Pao most often). Rou Gui and Shui Xian are the most commonly produced teas in Wuyi growing regions. Editor’s Note: A good Rou Gui is a great intro tea to Wuyi teas. Dark, cheap, and common, Shui Xian (Water Sprite) is the most widely available Wuyi tea and a fantastic daily drinker. Shui Xian is commonly available in Asian supermarkets and pairs well with food (common in Chinese restaurants). Does all this mean Shui Xian cannot be a good tea? Not at all. Some of the oldest bushes in Wuyishan are Shui Xian bushes and make excellent Lao Cong Shui Xian (old bush Shui Xian). Due to its dark nature (high-roasted and well-oxidized) Shui Xian is also commonly aged and is responsible for some of the best aged Wuyi oolongs available. Shui Xian is sometimes even pressed into cakes or bricks for aging (similar to Pu’erh tea)! Similar to Rou Gui, Shui Xian is often disguised as Da Hong Pao (another dark Wuyi tea) to unsuspecting consumers. Shui Xian is also grown in Dancong-growing regions. Editor’s Note: For bargain hunters, look for cheap and drinkable Shui Xian (i.e. Sea Dyke) at your local Asian grocery stores! Pressed Wuyi. Source: Wuyi Star. While the six teas listed above are the most famous, there are several less known Wuyi teas that are regularly consumed. Here are the ones you are most likely to encounter. Bei Dou is a tea with a very interesting history deeply intertwined with Da Hong Pao. Bei Dou itself is a peak on the Wuyi Mountains within the Wuyi scenic reserve (Zhengyan). This peak is where Bei Dou tea is harvested from bushes taken from the original Da Hong Pao trees (source). This makes Bei Dou a great Da Hong Pao substitute and it is often processed in a manner very similar to Da Hong Pao (dark!). Sometimes there is a number accompanying Bei Dou (normally #1). This number indicates generation. Bei Dou #1, would be the 1st generation cutting from Da Hong Pao (source). An oolong cultivar that stands for the Yellow Goddess of Mercy (Tie Guan Yin = Iron Goddess of Mercy). Huang Guan Yin is the child of Huang Jin Gui and Tie Guan Yin (both from Anxi county), and bears similar characteristics to both teas. Its flavor profile is generally floral with cream characteristics. It tends to run a bit greener than other Wuyi oolongs. Interestingly, it is occasionally rolled (this is very uncommon for Wuyi Oolongs). Huang Guan Yin is a relatively new cultivar having just passed the China Excellent Product examination in 2003. Another new oolong cultivar (~2002) standing for Yellow Rose. It is known for being greener/lighter and particularly aromatic. Qilan stands for rare orchid. This cultivar has been in the Wuyi mountains much longer than Huang Guan Yin and Huang Mei Gui and is characterized by a nutty and sweet taste. A tea more famous for being processed in Guandong as Dan Cong. Ba Xian was brought over to Wuyi in the 1980s. Zhengyan Rou Gui, Lao Cong Shui Xian, Huang Guan Yin, Ba Xian. Source: Seven Cups. This list is ordered by level of experience and gives specific vendor and tea recommendations. For detailed vendor by vendor information check out our Wuyi oolong vendor guide. Unlike Taiwanese oolongs where there are tons of specialized vendors nearly all Wuyi-selling vendors are Chinese-tea selling generalists (Teaspring, Jing Tea Shop) or principally Pu’erh vendors (Yunnan Sourcing, Essence of Tea, Tea Urchin). The main goal of newcomers to Wuyi oolongs should be to get their feet wet with the most common and famous Wuyi oolongs without breaking the bank. This usually means buying an eclectic batch of small samples from one to two vendors to get experience brewing and determine one’s personal preference (firing levels, oxidation, tea type). Editor’s Note: Please note that eclectic batch of sample should have more to do with the firing and processing than it does with Tie Luo Han vs. Shui Jin Gui. Asian Supermarkets – Huhhh? Asian supermarkets are actually the ideal place to get started with Wuyi teas. This is far from premium tea but can be quite drinkable and is virtually free. If you are lucky enough to live in a city with Asian markets, go ahead and visit the tea section. Specifically look out for Sea Dyke brand Shui Xian (Shui Hsien) or Da Hong Pao. Southeast Asian markets are great alternatives to Chinese markets and will usually sell some high-fired tea (a regional preference). Dragon Tea House (ebay store) – An ebay generalist with a ridiculous selection. They offer free shipping resulting in their prices ($/oz) being a bit higher than Yunnan Sourcing. This makes Dragon Tea House a better place to put in single orders. Be sure to email them for a discount if you are putting in any sort of bulk order. Yunnan Sourcing – Yunnan Sourcing is a pu’erh specialized vendor with a ridiculous selection of tea that has come to include yancha. The selection rotates and there are the occasional exceptional teas but for the most part this is good daily drinking stuff. Because of shipping, only buy from the Chinese site if you are buying other stuff too (i.e. pu’erh, teaware). Their US site is one way around this. Recommended Transaction Size: $30-40 of Yancha (overall transaction should be bigger). Da Hong Pao – The king! Don’t order the top dollar stuff, but this is an important tea for anyone interested in Wuyi teas to consume. Rou Gui – Fragrance, spicy high notes and a relatively affordable price make Rou Gui is a great tea for newbies to get their feet wet with! Shui Xian – Cheap and heavily fired, Shui Xian is an inexpensive way to start getting some repetitions in. Intermediate Wuyi drinkers should have a bit more experience to draw from and should start to explore more premium teas and lesser consumed cultivars. Unlike the Taiwanese tea guide where we listed Taiwanese oolong specialists, the intermediate list for Yancha is dominated with Chinese tea specialists. Jing Tea Shop – Jing Tea Shop is based in China and specializes in a number of different Chinese teas. With a wide selection across many different tea genres their Chinese oolongs (and greens) are the standouts. WIth a flat rate of $5.95 shipping and relatively quick international shipping (one – two weeks), Jing Tea Shop is a great vendor to make a fairly large order. Roasting tends to be mid-high. Seven Cups – Based in Arizona with strong connections with China, Seven Cups has a wide selection of all Chinese teas. Roasting tends to be lower than average, making Seven Cups a great place to compare with the higher roasted yancha from other vendors. Tea Spring – Tea Spring is based in China. Their selection features all Chinese teas, with free shipping at $70. Their sample size is small with a wide selection of Wuyi teas, making Tea Spring a great place to get some variety. Teacuppa – Teacuppa is another Chinese tea generalist based in China. Shipping is a flat rate $8. Teacuppa’s Yancha tends to be mid-fired. From beginners: Dragon Tea House, Yunnan Sourcing. Tie Luo Han – Start to taste all the different famous bushes. Shui Jin Gui – Another of the famous bushes. Lao Cong Shui Xian – Experience old bush tea! Shui Xian is the best and most inexpensive way to do this for newer drinkers to Yancha. Like many other genres of tea, appreciating Wuyi is something that cannot be done overnight. Taste all the different cultivars and roasting levels of Wuyi as well as some wonderful aged tea. Editor’s Warning: Top-end yancha is expensive! The Mandarin’s Tea Room – A specialist in truly premium tea. Based in New York, try the Mandarin’s Tea Room if you want to experience some of the best tea available to the west (and priced accordingly!). 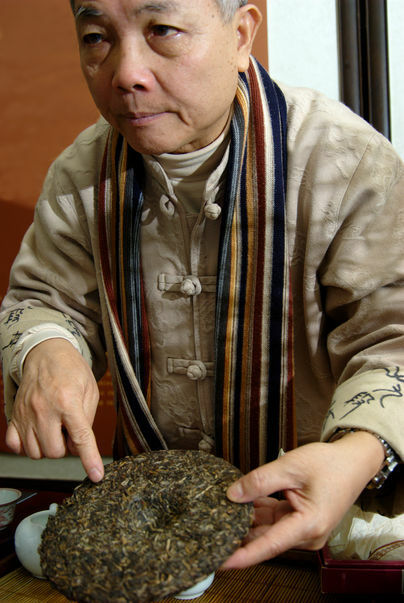 Essence of Tea – Essence has close connections with Master Huang, an old experienced tea farmer based in Wuyishan. All their Wuyi tea comes from Master Huang and is often from the national reserve/Zhengyan region. Handmade/half-handmade. Based in the UK. Tea Urchin – Primarily a premium pu’erh vendor whose second specialty is premium yancha. Shipping is a $20 flat-fee. Because of that high base-fee, large orders probably make the most sense. Best Tea House – Best Tea house is a very famous tea house (see Vesper Chan) known for their pu’erh. Based in Hong Kong, they’ve since expanded and have a location in Vancouver, Canada. Top-end, expensive stuff (their Vancouver site offers free shipping for $250). Bai Ji Guan – The rarest of the four famous bushes. This is different from nearly all other Wuyi teas. It also runs at the pricey end. Bei Dou – An interesting Da Hong Pao substitute. Can be just as good as the four famous teas. 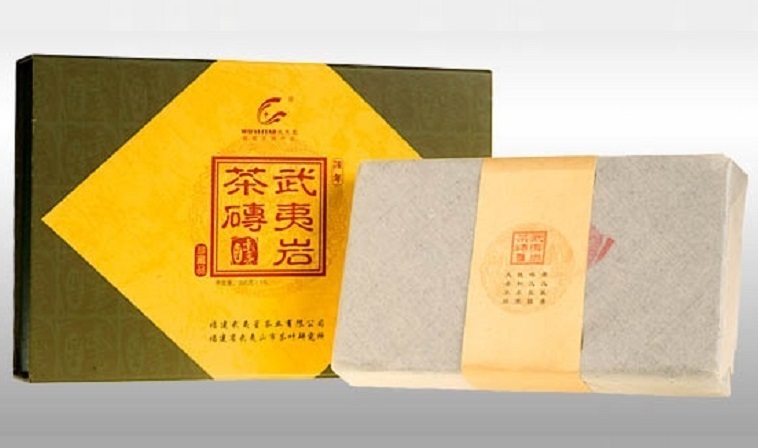 Aged Yancha – Truly good aged teas are high-fired once and then stored in a cool, low humidity environment. You can buy some very bad overly-roasted tea so be careful with your purchase here. Lao Cong – Old bushes make for very good tea! Keep trying out some old bush tea. These are vendors that specialize in other things but dabble in Wuyi teas, often with some unique and/or interesting offerings. Origin Tea – Based in Taiwan, Origin Tea’s specialty is premium, top-dollar Taiwanese oolongs and raw pu’erh. However, their occasional dabbles into premium Wuyi tea have been exceptional. Hou de Asian – Based in Texas, Hou de Asian is a longtime vendor primarily specializing in pu’erh and Taiwanese oolongs. Their occasional foray into yancha usually tends towards the high-fired. Just like Taiwanese oolongs, it’s highly recommended to drink Wuyi oolongs gongfu style. Wuyi tea is more difficult and sensitive to brewing than Taiwanese tea making it perhaps an even better tea to gongfu. That being said, there are plenty of perfectly legitimate ways to brew up and enjoy yancha. There are a couple different variations on gong-fu style for this tea. Gaiwan/Yixing Teapot (60-120 ml for 1-2 people) – A robust, inexpensive, flavor-neutral gaiwan can be used for brewing essentially all teas. 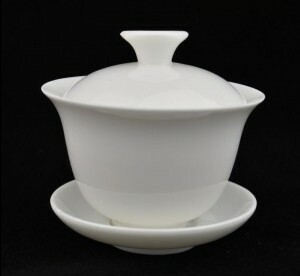 Usually made with porcelain, a gaiwan is a great device for brewing Wuyi oolongs (wide gaiwans work best). 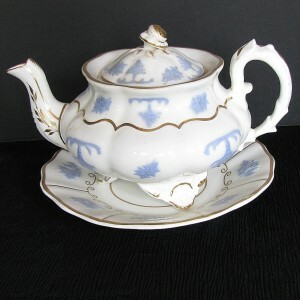 An yixing teapot is often preferred by experts. Clay generally work better here than Taiwanese oolongs because of the increased heat retention. Choosing an yixing for yancha is a vast and complex topic (look for more on this later). Avoid glass gaiwans as they often slip causing causing burns. 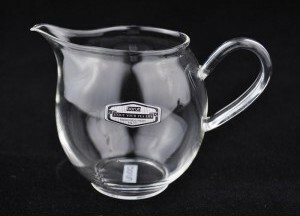 Serving Device – An inexpensive glass pitcher is typically used. If you want to avoid cost, you can really use any pitcher-like device or even pour straight into your teacup! This is useful not only to serve, but helps cool the tea. Teacups – One must drink! Small teacups work best for gong-fu style brewing. I recommend purchasing non-yixing teaware from Yunnan Sourcing. Their prices are consistently excellent. For the cost-conscious, using a gaiwan is much cheaper option than yixing. Classic gong-fu style brewing can easily be done for <$30. NOTE: Shipping is high from Yunnan Sourcing’s Chinese site, so it’s best when you buy a ton of tea with your purchase. Dragon Tea House is another reasonably priced alternative with free shipping (better if you are buying individual items). Yunnan Sourcing links are to the US site. Their Chinese site has even better prices and more selection, but slower, more expensive shipping. Gaiwan ($5-15) – Yunnan Sourcing, Dragon Tea House. Serving Pitcher ($4-13) – Yunnan Sourcing, Dragon Tea House. Teacups ($2-20) – Yunnan Sourcing, Dragon Tea House. Yixing Teapot ($60-200+) – Origin Tea, Life in a Teacup. There are two different gong-fu methods outlined here. For those new to Yancha, I’d recommend first getting familiar with the first method before graduating to the second, more-potent brewing method. Use water at boiling temperature or just off boiling. Pre-heat your brewing device by pouring water into the empty brewing device. After pouring the water out, load your pot with tea. 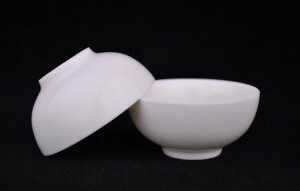 With a 100 ml brewing device fill the gaiwan/yixing to about 50% capacity. This should amount to ~6-7 grams of leaf. Scale this upwards or downwards depending on the size of the brewing device and your taste. Give the tea a quick flash-rinse. Steep at ~20 seconds and brew adaptively. Usually this will mean brewing around ~20 seconds for the first few steeps before slowly increasing the steep time. Depending on the quality, Wuyi teas can vary widely on their longevity. Generally speaking cheaper teas will go for just a few infusions, while high-quality older teas can run a marathon. Not for the faint of heart, the cheap, or the broke. Marshaln and Tim from The Mandarin’s Tea Room have been known to use this method (outlined on TMTR’s Yancha brewing parameters). Follow the steps outlined above to pre-heat the brewing device (use boiling water). Load your brewing device with Yancha to ~75-100% capacity. This will usually amount to 9-12 grams/100 ml brewing device. Scale this upwards or downwards depending on the size of the brewing device and your taste. Do a quick flash-rinse. Steep continuously using flash-brews (quick pouring yixings are ideal for yancha), increasing brew time as the tea becomes thinner. Using this method, teas usually go for a couple more infusions than the standard gong-fu method. Brings out tastes unique to Yancha (yanyun as described by Marshaln). Teaches you to brew adaptively. Tricky to do at first. Large steeping vessels and big cups, western style. Western-style brewing is a very low-maintenance way of brewing. This is an acceptable way to brew yancha, especially inexpensive ones (Shui Xian is a good choice). Brewing Device/Teapot -Try out one of Adagio’s brewing devices. They are highly functional. There are a number of different variations on these devices. Teacup – Go British Style or go with a good old fashioned mug! Use 2-3 tablespoons of tea. Yancha is fluffy, especially compared with rolled tea. A common mistake is adding too few leaves. Steep for 1.5-3 minutes. Drink tea like a Chinese grandpa! Grandpa style is an extremely simple method of drinking tea. For many longtime tea drinkers this is the preferred casual method of tea drinking (over Western style). Dump tea leaves into a large mug and pour boiling water on them. This works great for yancha (as well as aged tea). It’s also a fantastic way to finish off a session and get the last bits of flavor out of your tea. This style also works well with cheap supermarket yancha. Put leaves into cup. Don’t use too many. Pour boiling water onto leaves. Refill cup with boiling water when you are about halfway through. Try to always keep water in the cup. Use a lidded cup if possible. Check out Marshaln’s highly-informative posts (1,2) on grandpa-style brewing. Different flavor profile than gong-fu (they are polar opposites!). Doesn’t have the same flavor/complexity as gong-fu. Unlike Taiwanese teas there are not alot of sites dedicated to yancha. That being said, there are a number of great resources out there. I am far from an expert and this article more or less serves to curate from a number of great sources on their own right. Marshaln [Wuyi/Yancha Tag] – Hey, guess what. Marshaln’s site is pretty much worth checking out for most teas. While he focuses alot of his attention on other types of teas, the professor also drinks yancha. Plenty to learn here. Wikicha – Some basic wiki-type info here. Zhengyan Wuyi. Source: Essence of Tea. This entry was posted in Aged Oolong, Article, Long-form Article, Oolong, Tea Learning, Wuyi Oolong and tagged Best Tea House, Dragon Tea House, Essence of Tea, Hou de Asian Art, Jing Tea Shop, Origin Tea, Red Blossom, Seven Cups, Tea Spring, Tea Urchin, Teacuppa, The Mandarin's Tea Room, Yunnan Sourcing. Bookmark the permalink. Great article for us beginners. Many thanks! Maybe your next in-depth backgrounder could be devoted to puer. One quibble: the first link (the teaodyssey one) is broken. Hi Peter thanks again for the comment. Pu’erh in some form will most definitely be the next unit after Wuyi oolongs. In my opinion it is probably the vastest and most deep of the tea genres. Good catch on the link,I just fixed it! I love this resource. A cool tea to try is the Bitter Mellon roasted oolong from YS. It’s warm and nutty. With some interesting complexity. Regarding the height of Wuyi mountains, it’s true that they reach 600-700m above see level but in zheng yan the mountains are below 400m. So maybe in the editor’s note at the beginning of the articles it would be better to avoid writing 600-700 m next to “cliffy terroir”. As there are no cliffs on those high mountains, although by far most of the Wuyi Rock tea available on the market does not come from zheng yan, ban yan or wei shan. I spotted another statement that might be worthy specifying better. Btw, no need to post these comments. Many tea enthusiasts read your pages so I just though it’s worthy to write them as accurate as possible. We do want to spread the right tea culture in the Western world, right? As far as I know, but this might need a double check from you, Qi Dan is not the only authentic cultivar of Da Hong Pao. Of the four original DHP mother trees, two are Qi Dan and other two are Bei Dou. James, the last message, promised. I should have read to whole article first. Noted you mentioned Bei Dou as a cutting of Qi Dan. Maybe your source of information is more correct. While travelling in Wuyi I was told that both Qi Dan and Bei Dou are cultivar of the original mother trees. Any specific reason why you didn’t mention ban tian yao?